November 14, 2011 Adri H.
The first design was a direct response to their call for patterns inspired by celebs and film. I was inspired by Kate Middleton's wedding shrug, and came up with "Cambridge Shrug" in response. The pattern is available via Tangled Online here. And, it's available on Ravelry and Craftsy, too! 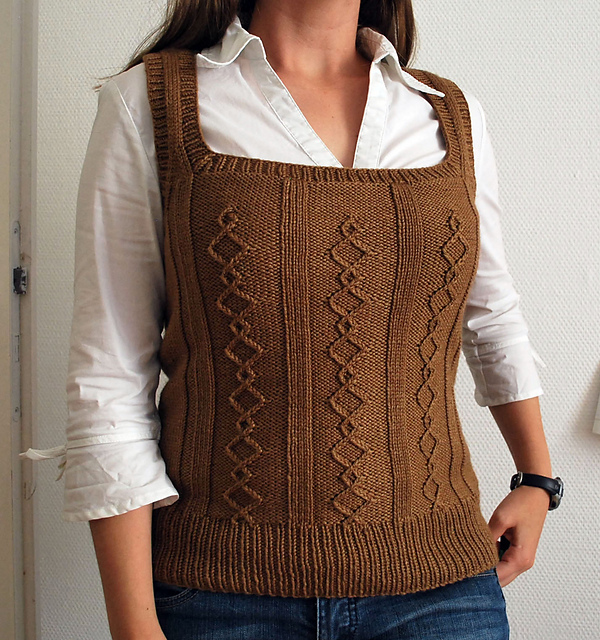 Carats Vest, the second design in the November 2011 Issue of Tangled, is a design that's been incubating in my design library for a while. I sketched the premise of this design last year, but didn't get a chance to develop it until Team Tangled gave me the green light. Carats Vest is available via Tangled Online here. 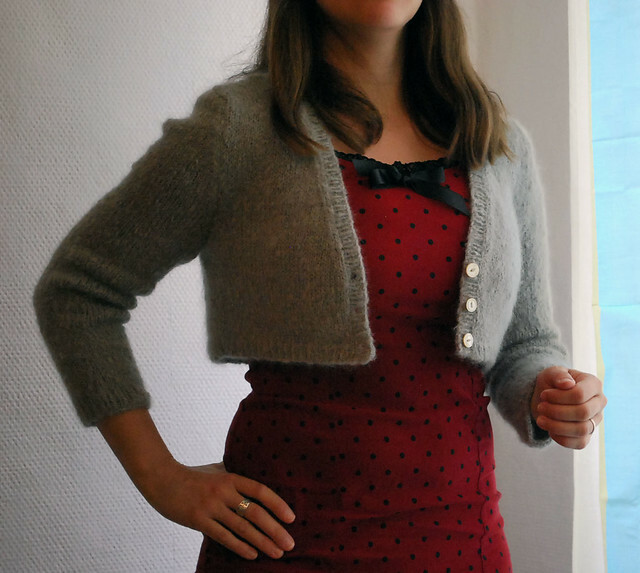 It's also available on Ravelry, Craftsy, Patternfish, and Knit Picks IDP. I used KnitPicks Gloss DK, and I have to say it was a really great yarn to work with. It's very squishy, strong but snuggly, and easy to knit. I wish it was easier to find here in Europe. I bought mine from a yarn company in the UK (Great British Yarns). They were really nice and shipped quickly. I'm really proud of how Carats Vest came out. I tested all sizes and am happy to report that all my testers (from petite to plump) found the fit to be flattering. Yay! Update on Carats Vest: Make sure you have the most updated version of the Carats Vest - Gauge should be listed as: 22 sts and 32 rows = 4” in Stockinette on US size 4 (3.5mm) needles after blocking. 24 sts and 32 rows = 4” in Twisted Stitch Diamond pattern on US size 4 (3.5mm) needles after blocking.